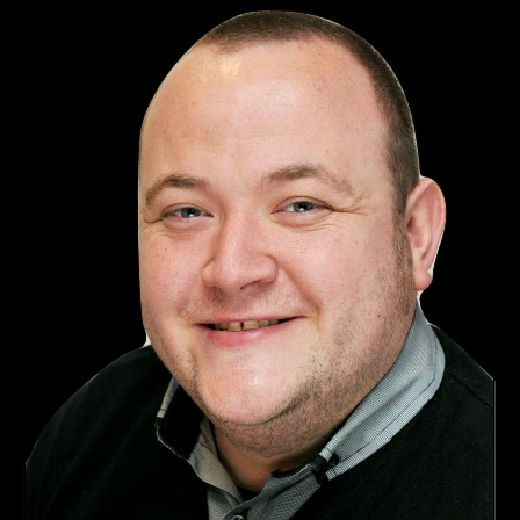 Brave Maxi Hughes suffered disappointment in his quest for the British super featherweight title as his clash with Sam Bowen was stopped on doctor’s orders. The ringside doctor deemed Doncaster fighter Hughes in no position to continue after examining an eye injury before the start of the eighth round. He had turned in an incredibly valiant performance in the preceding round after coming under tremendous pressure from the powerful Bowen. Hughes demonstrated a tremendous engine to maintain a high pace as he looked to dodge clubbing blows from his opponent at Leicester City’s King Power Stadium. He looked to stay on the move as much as possible and throw shots out in bursts when openings arose. But it became clear his primary efforts involved keeping Bowen out, ensuring he was fighting a losing battle and unable to showcase his typical slick skills. The 28-year-old gave his all in a taxing affair where the two fighters often resembled rutting stags as they powered into each other with heads and shoulders. Bowen targeted the body regularly, particularly Hughes’ right side, clubbing away with hefty hooks. And the punishment eventually told when Hughes touched down in the seventh. He rose, but came under more pressure and was back down in the dying seconds of the round, making the count before the bell rang. Hughes had plenty to do at this point but never got the opportunity to as the doctor intervened with his eye almost closed. 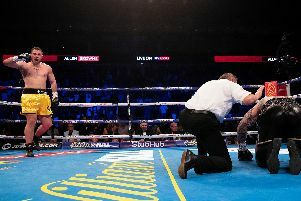 In defeat to a powerful fighter that will cause plenty of problems for future foes, Hughes did not damage his reputation too severely and it is not hard to see him landing a third opportunity at British title glory in the future.